Website Promoters LLC is an SEO Company dedicated to your success. If you are looking for an SEO Company to help your company grow, call us today! We love New York and want to be your first choice when looking for SEO Companies. We specialize in helping companies in New York get to the top of the search engines. We only use White Hat methods and tools. We offer a 15 Day money back guarantee to new clients. This guarantee covers fees paid for SEO services, during the new clients first 15 days with our company. If during the first 15 days, after signing up with Website Promoters LLC as a new client, you are unhappy with the services you have received, you can request a refund. The refund only covers actual fees paid during the first 15 days as a new SEO customer. This guarantee applies only to SEO services and does not apply to Website Design or other expenses such as Hosting. This guarantee is available only once, to each new customer, and is offered to show that we are serious about earning your business. We understand, when doing business with a new company, it takes time to get to know them. Time to see if they are a good fit for you. Also, we never lock our clients into long-term contracts. We do not even offer them as an option! No gimmicks of a 10% discount, if you pay a year in advance. Of course, we want you as a long-term client. Acquiring new clients is expensive, and is also very time-consuming. We promise to work hard every single day, to earn your business and trust. 1. Client initial meeting to discuss their needs and desires. 2. Analysis of the client’s Website, to determine what changes if any need to be made to it. Correct Website content and design is critical. 3. In conjunction with the client, we proceed to make necessary Website modifications to facilitate Off-Site SEO. 4. We begin working On-Site and raise awareness of the Website. We implement a long-term program, of custom article writing, and blog post creation. 5. We continuously monitor Website traffic and provide the client with Monthly reports outlining current ranking trends for their website. 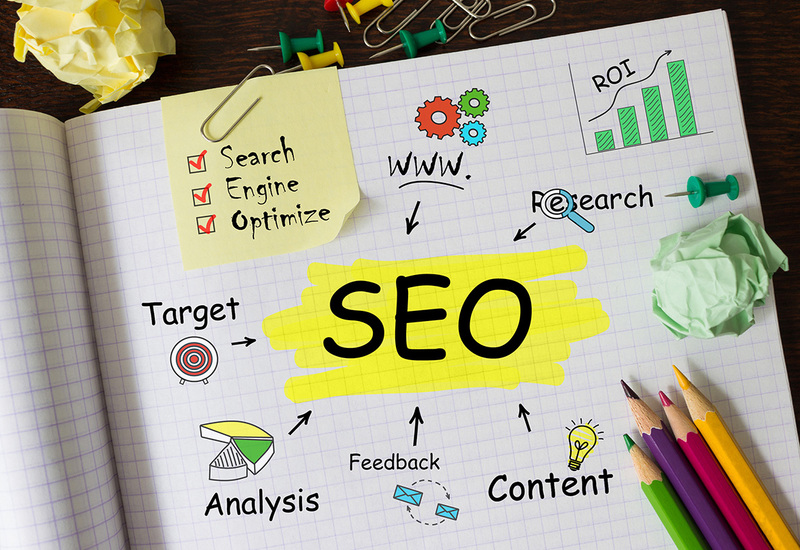 It is essential to have a plan to optimize all aspects of SEO. Onsite SEO services need to optimize the site content, the site Meta Tags, and other aspects of site content. Off-Site SEO, will help build awareness across the Internet, of what your company has to offer. Title Tag – This is generally what the search engine will use for the Title of the Search Engine listing for the site. The “Title Tag” is also one of the most important elements to get correct. The search engine will use the text of the “Title Tag” as an indication of the content on the Web Page. If you are running an SEO company then the following is a good example. Website Promoters is the #1 SEO and Internet marketing company serving New York City. H1 Tags – The “H1” – “Heading 1” tags are another significant indicator to Search Engines as to the content of Web Pages. It makes sense that if a person “Highlights” a particular piece of content with “H1” tags than it must be important. Best New York SEO Company, SEO Companies in New York, New York SEO Companies. H2 and H3 Tags – H2 and H3 Tags would maybe be the heading of a subsection on a Web Page. Search engines will still give some weight to H2 and H3 Tags, but they are not as important as good “H1” tags. Also, you should limit the use of “H1” tags to a maximum of one (1) per page, and it should be as near the top of the page as possible. Keyword Meta Tag – The Keyword Meta Tag is a list of essential words that the webmaster wants the search engine to see. (Website Promoters, Professional Website Promoters in New York, New York Website Promotion, Professional New York SEO Company). The keywords relate to Website content and standard terms that people would use while searching for sites with similar content. As shown in the “Key Words” should be separated by commas. Description Meta Tag – The Description Meta Tag is a short paragraph about the website, that some search engines use as the Description of the Website in their Search Engine. The following is an example of a typical Description Meta Tag – (Website Promotion by professional Website Promoters. Best practice White Hat Website promotion techniques help you rank successfully on the major search engines. Example Description tag. ( Website Promoters is the best SEO Company in New York. We offer full-service Internet marketing services, SEO and Adwords Advertising management.) There are other Meta Tags to consider using, but always make sure each page of your website contains the above mentioned three (3) Meta tags explicitly targeted to the content of the pages they are on. Anchor Tags – Anchor Tags allow you to embed links directly into your content, directing people to content you feel is valuable and relevant to the topic at hand. The text of the link should directly relate to the “Key Word” that you are targeting with the link. If you are linking to a page with content about Website Promotion you may use a link as shown here. Quality onsite content is critical if you want to rank well in the search engines. The quality of the Website Content is Critical. It needs to be relevant, and relate to the “Keywords” you are targeting. Create interesting Content, and you will get more traffic. Search Engines like Popular Websites. When a Website gets a lot of Quality traffic, the Search Engines use this as a vote of the overall quality of the site. Search Engines are very good at telling what is, and is not quality traffic. Quality Content will also encourage people to link to your content, helping to create more “Third Party Links”. It is essential that the site content is optimized on a page by page basis to associate the keywords being targeted by each specific page. For example, if you are going to target specific keywords associated with “Dentists in Orange California” than it would be important to write your content in a way that each page focuses on one (1) or two (2) specific keywords. The keywords “Dentists in Orange California”, and “Dentists Orange California” are very, very different. Just the omission of the word “IN”, between the words “Dentists” and “Orange” creates an entirely different search term, and a given website page will rank differently for each term. Backlinks are another important part of Search Engine Optimization. When third-party sites link to content on your Website, that tells the Search Engines that your content is popular. Sites that are popular, tend to rank higher, than less popular Web sites. If you are associated with other sites, it is always a good idea to have them provide a link to your website content. For example, if you have a Website about cooking, it would be very helpful to have other cooking sites link to yours. People who like your recipes could link to your site, and post how wonderful they think your recipes are. So contact us today, because we want to be your New York SEO Company. * At checkout you will be redirected to our main website WebsitePromoters.Com to complete your purchase and account setup!